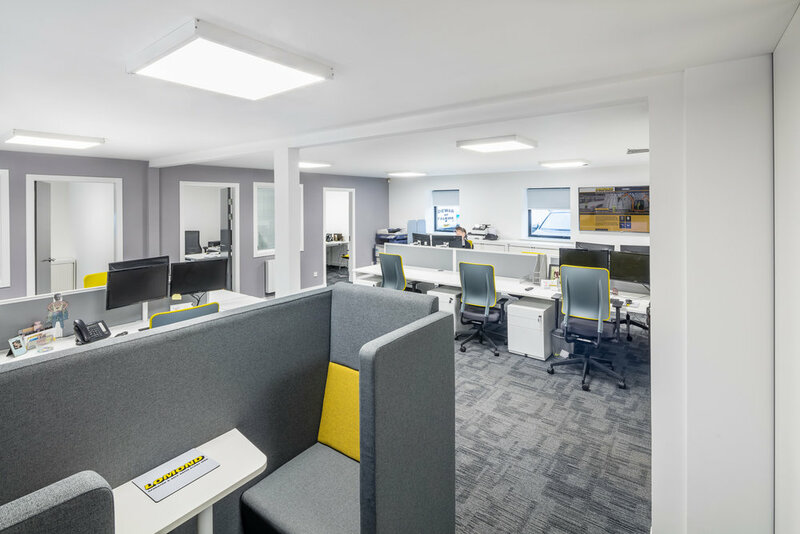 When Ross dropped into our showroom he only had in mind to pick up some desks and chairs to give his office a bit of a face lift. 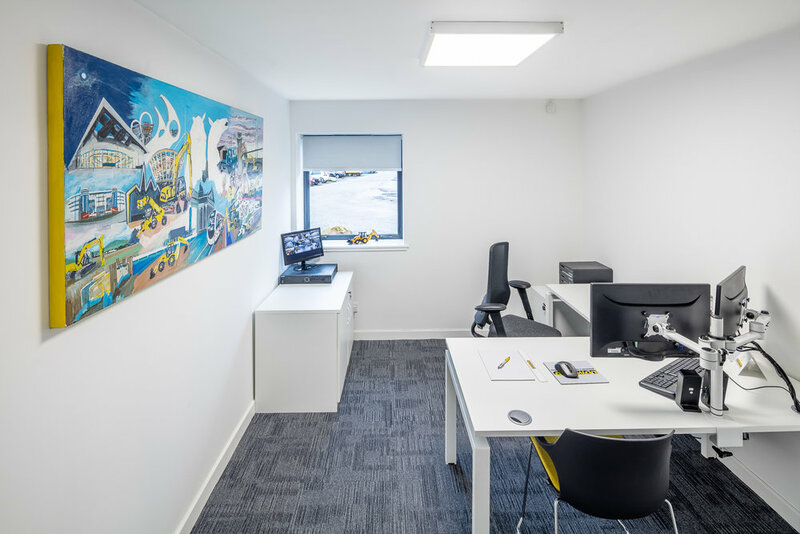 What he got has completely transformed the space. 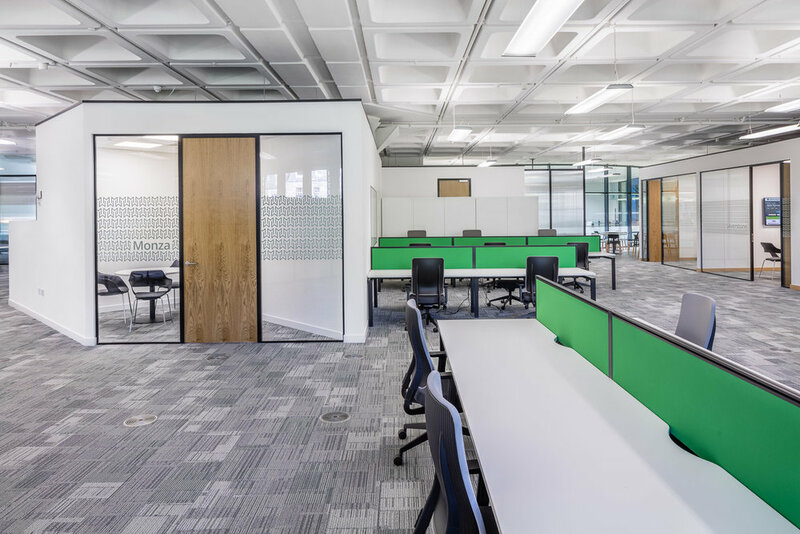 Lomonds purpose built facility was completed about 15 years ago and whilst at the time, the fit-out was not flamboyant, it was functional and lasted well. 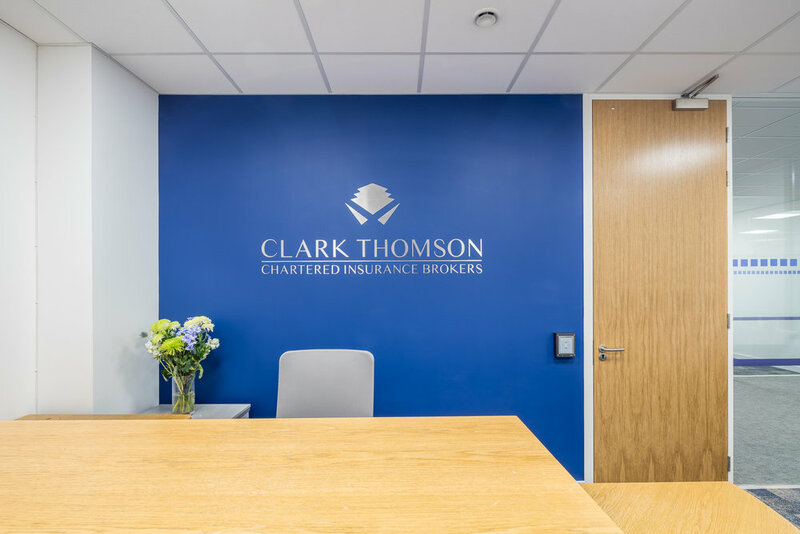 Time takes it toll though and when Ross and his joint MD Amanda started to see what the possibilities were, they quickly changed the brief. 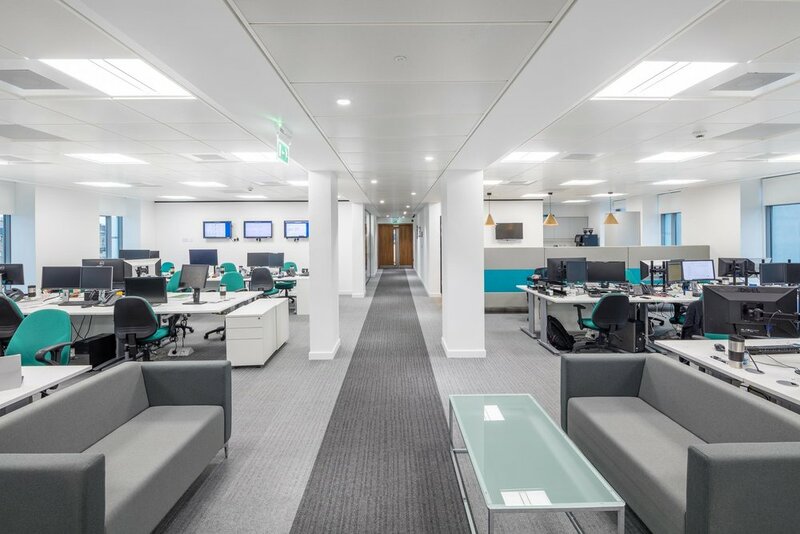 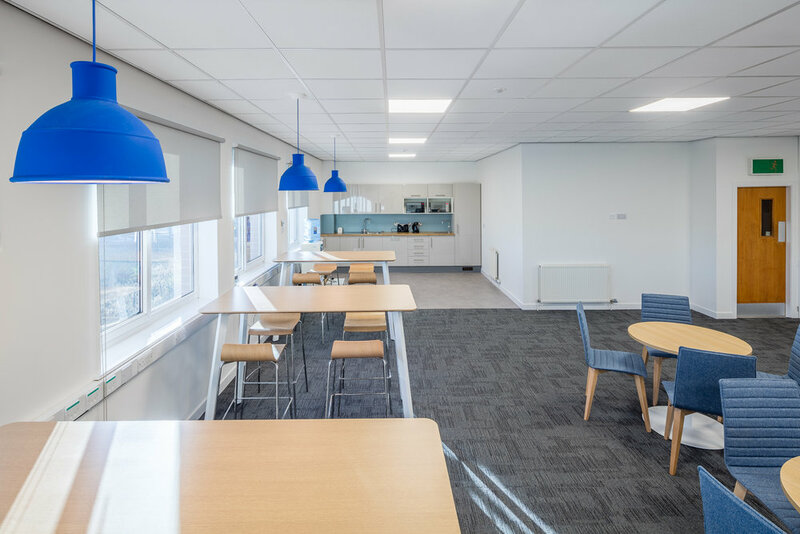 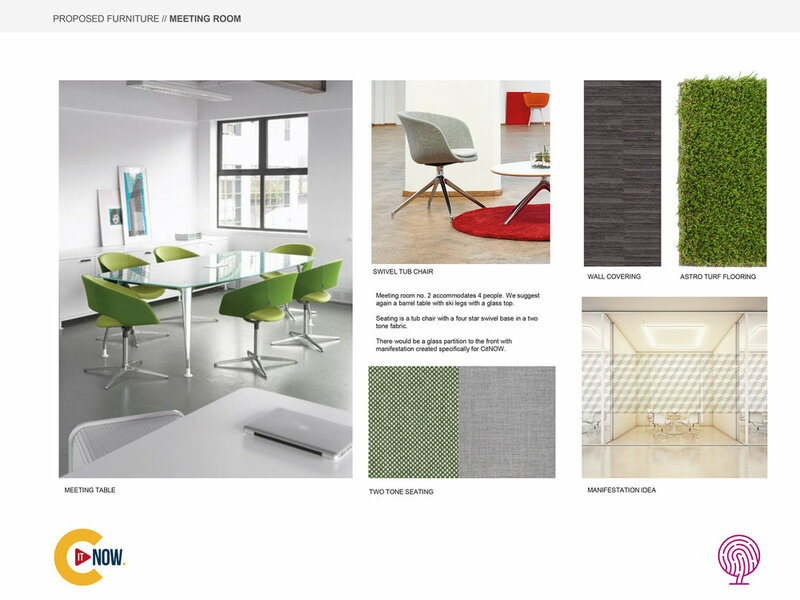 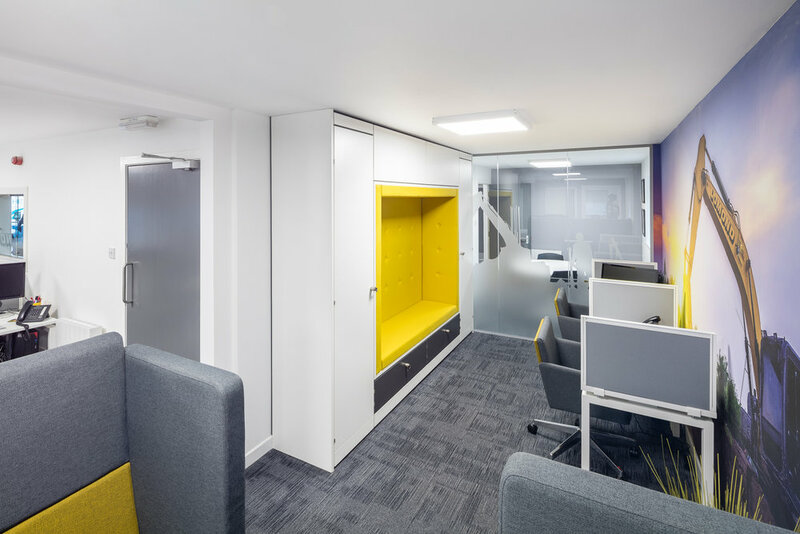 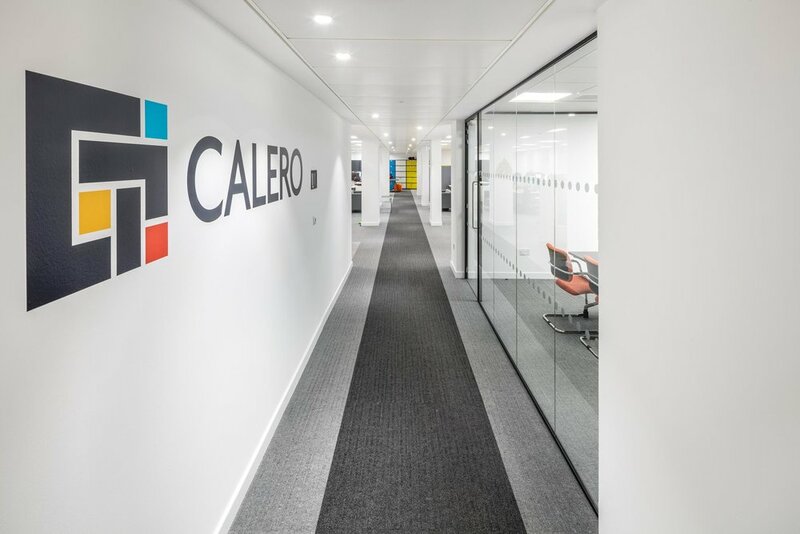 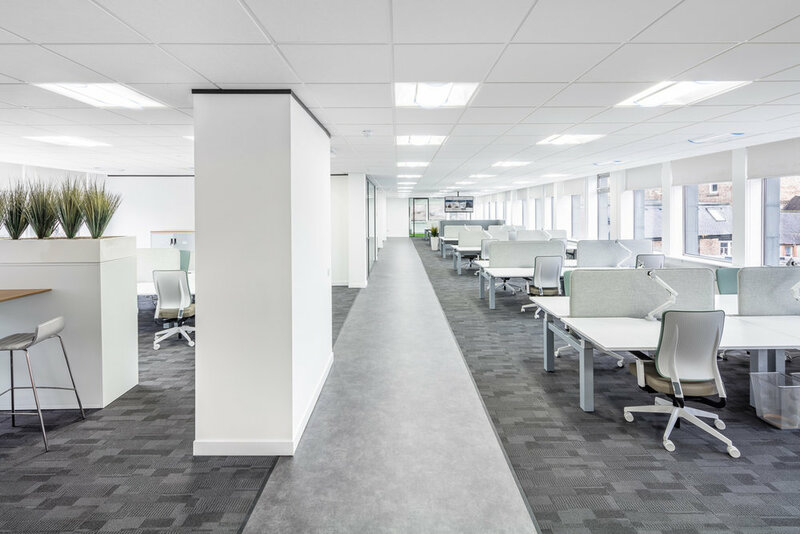 Working with our interior designers, a scheme was designed which made the office much more functional in terms of work flow whilst at the same time recognising that not everyone is always in the office. 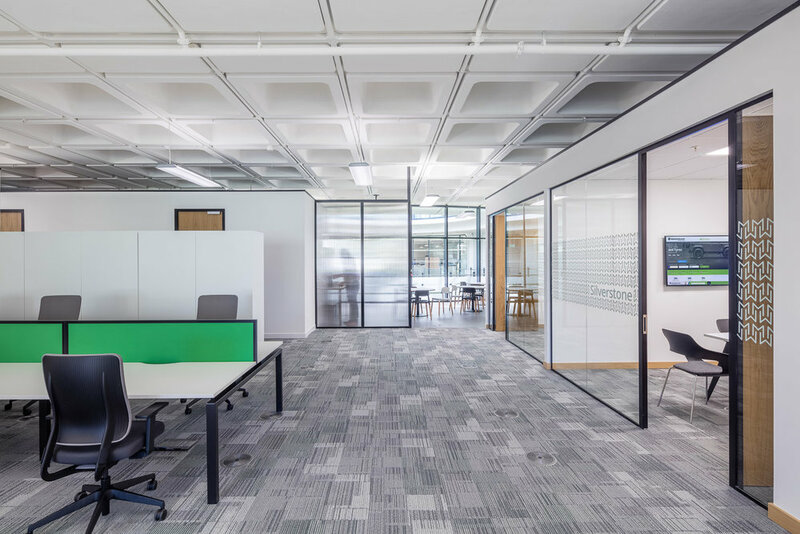 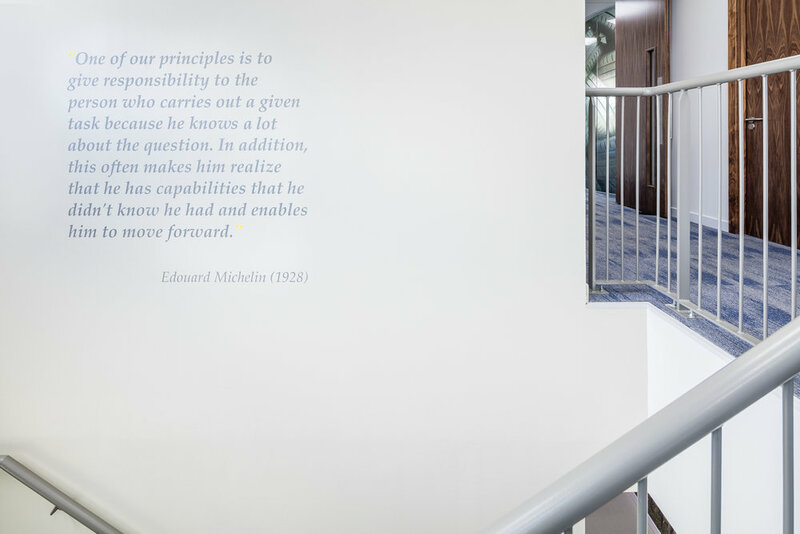 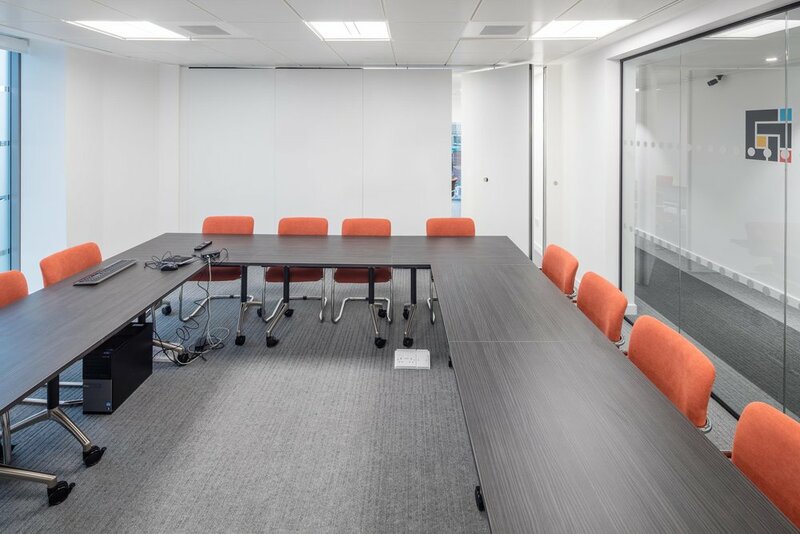 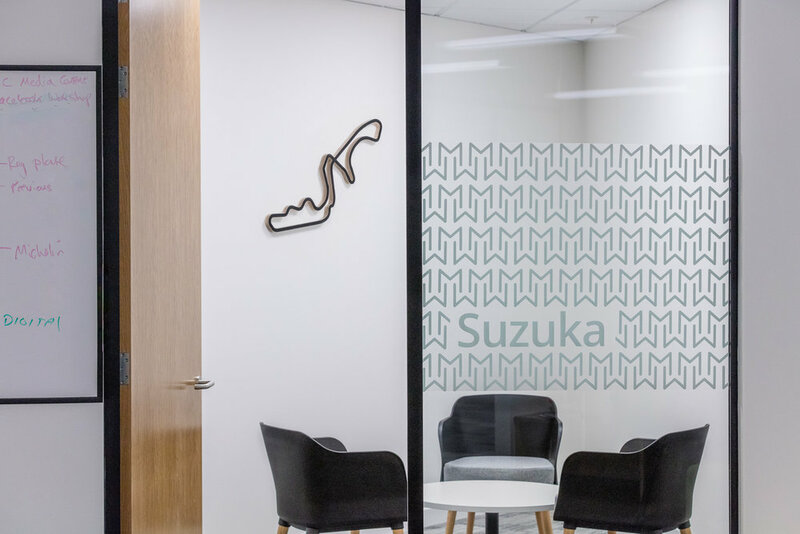 By reducing circulation space and improving space efficiencies, we were able to provide a separate meeting room which means that visitors no longer need to be brought through the general office to a private space. 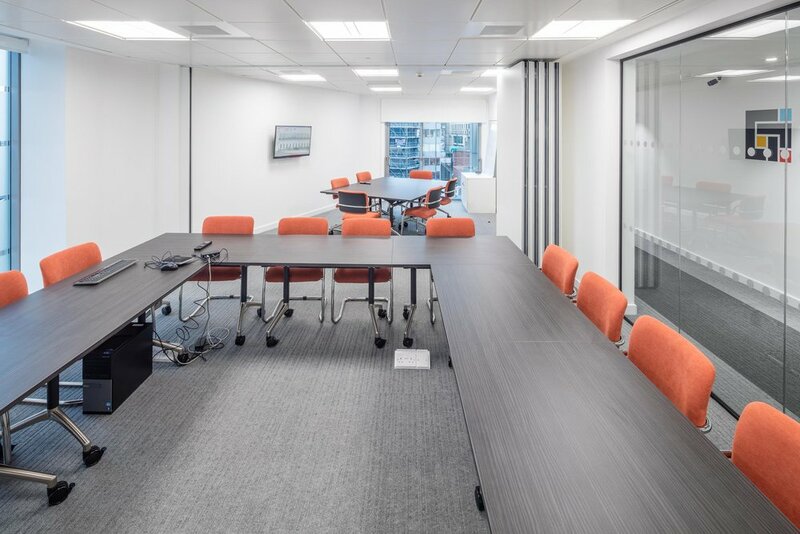 This has reduced distractions and has improved the professional feel that Amanda and Ross were keen to enhance. 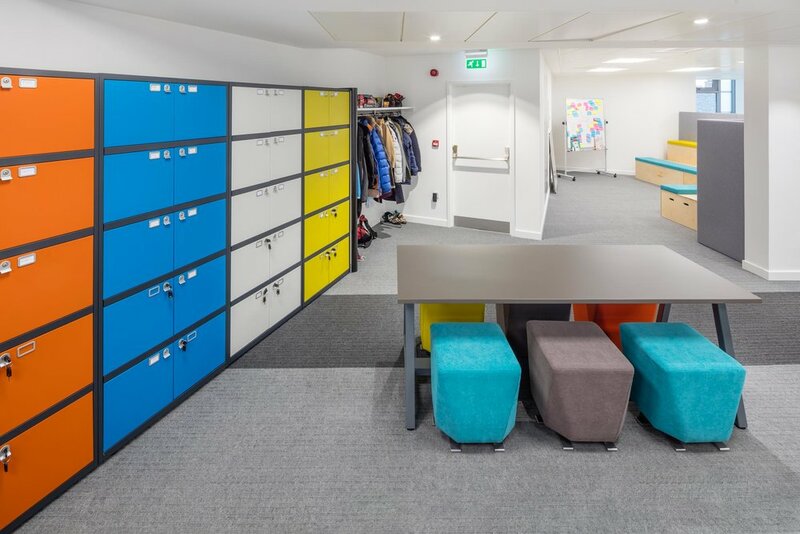 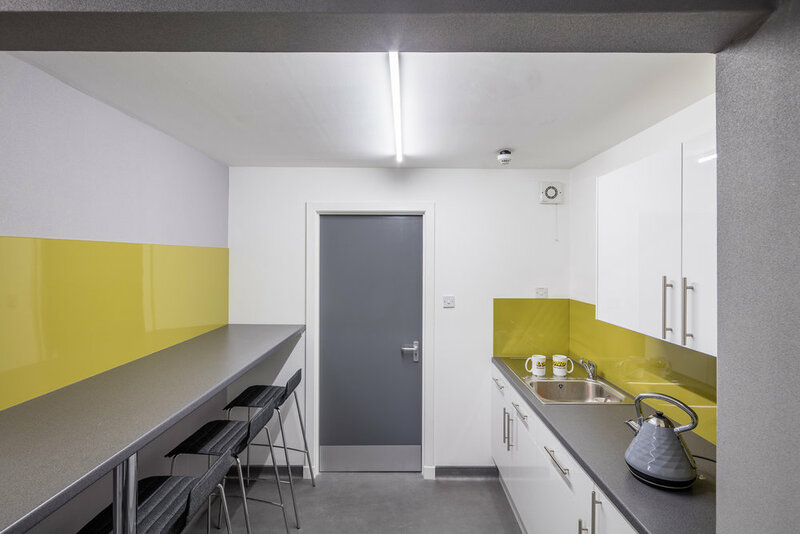 As part of the refurbishment, and given the fact that staff numbers had increased significantly over the past 15 years, a new toilet facility was designed and built as well as a complete refresh of the kitchen area with new units and breakfast bar. 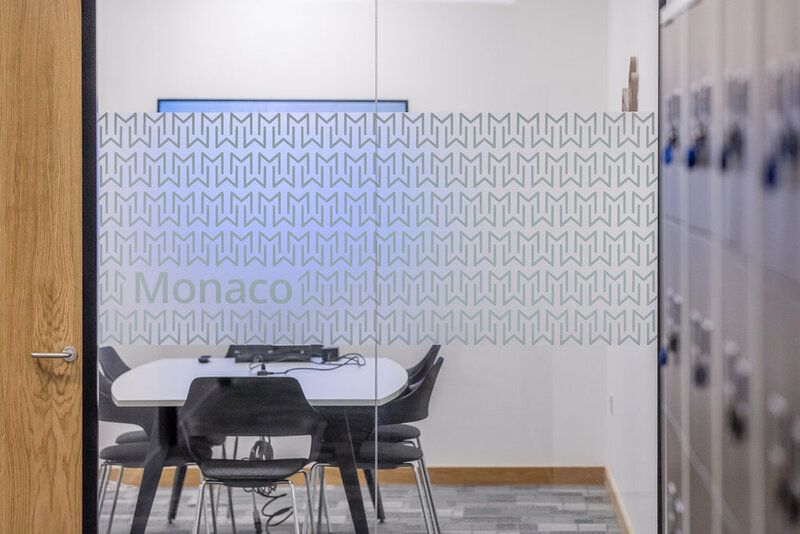 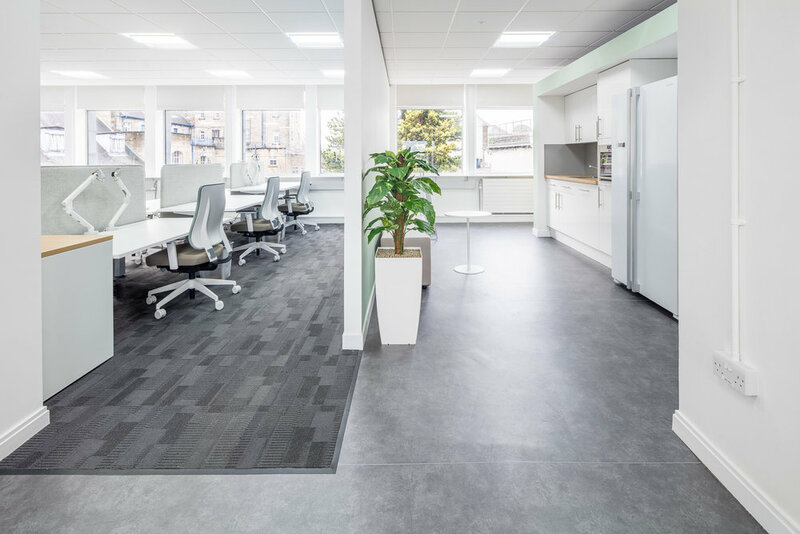 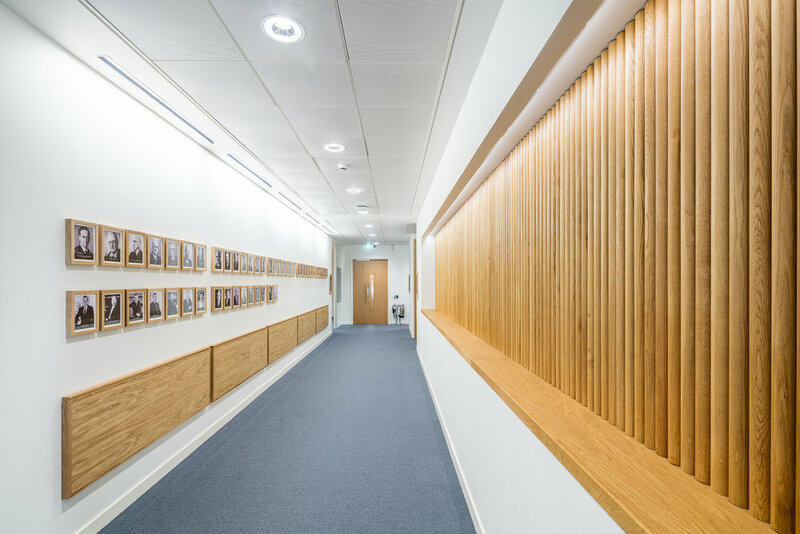 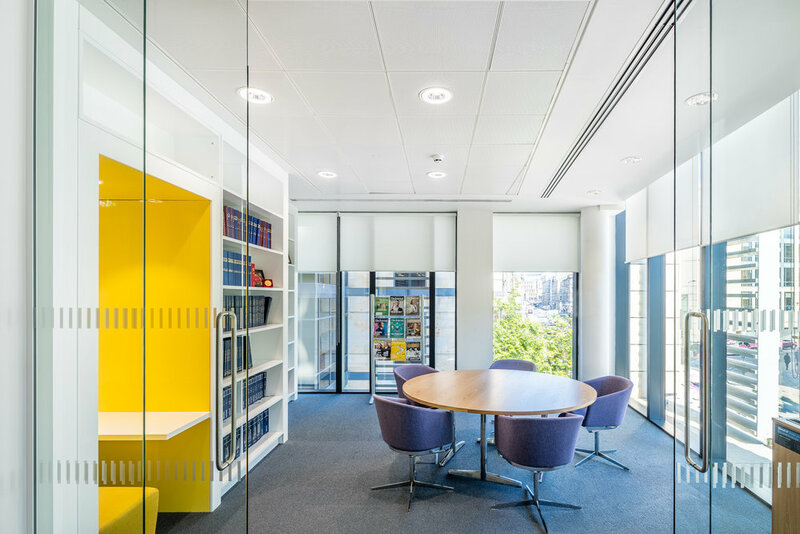 All the circulation space was redecorated and because of the office & workshop nature of their work, a hard wearing vinyl wall covering was specified as being washable/wipeable and ideal to ensure that the smart appearance was maintained easily going forward. 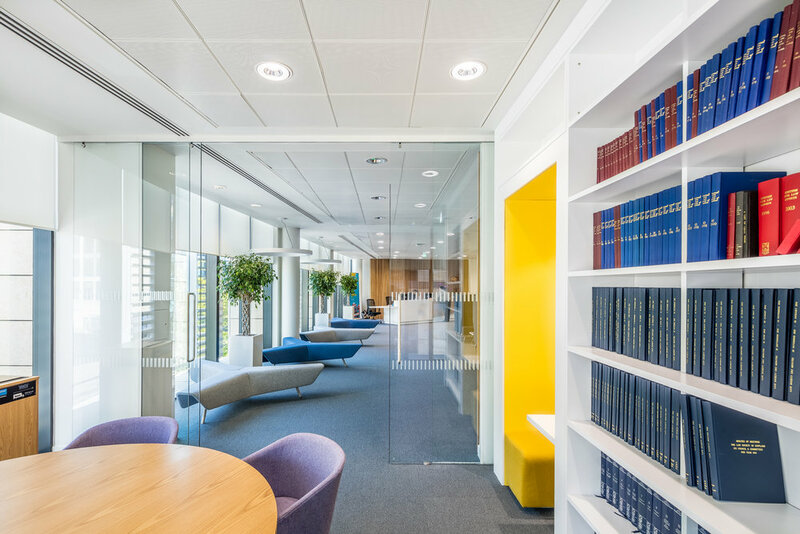 The reception area was not exempt and the area has been given a lift with new lighting and floor coverings as well as repainting the staircase to bring it in line with the new colour scheme. 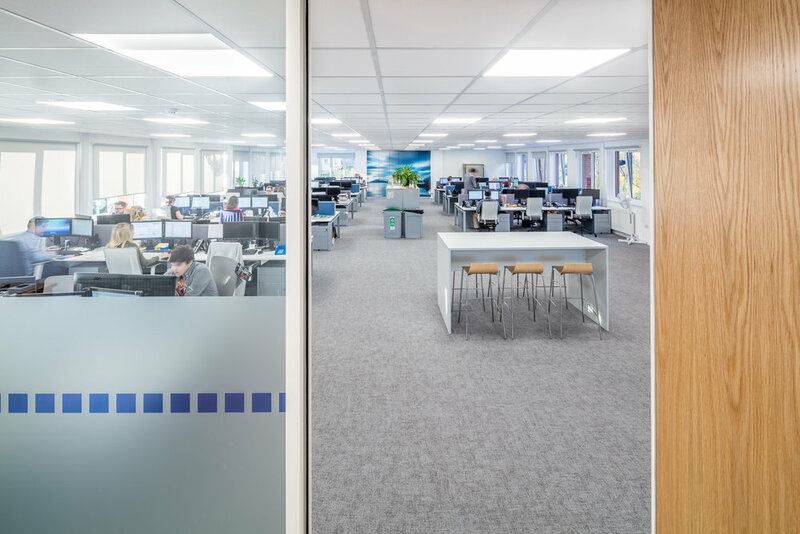 The overall result is a massive improvement for the Lomond team and there is a buzz to the office which reflects this. 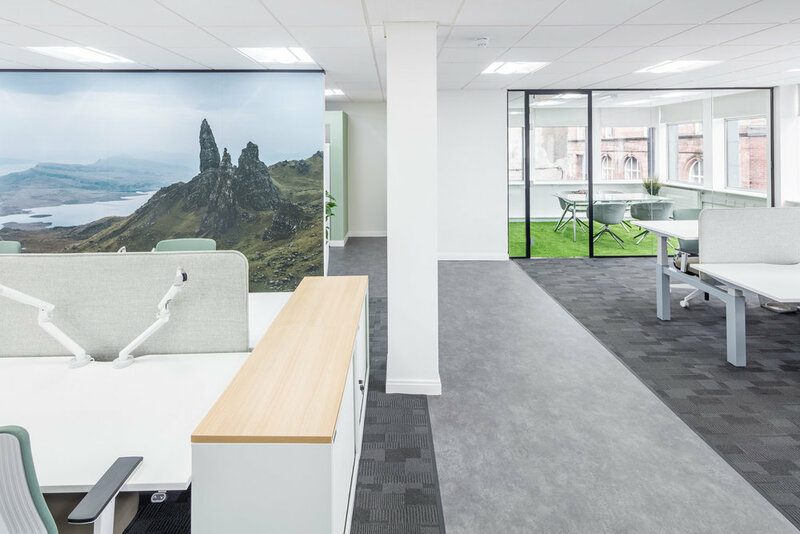 Amanda’s own words were that she has a real spring in her step when she arrives in the office each morning. 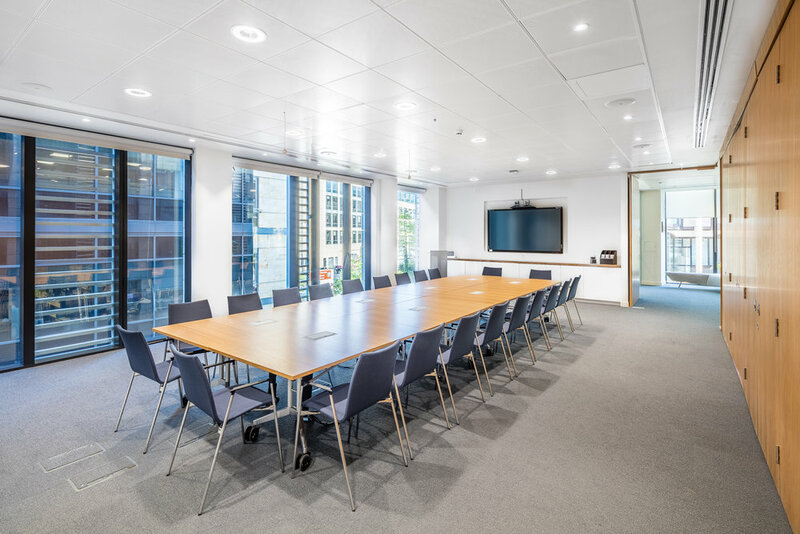 All of this was achieved in a 3 week period in the run up to Christmas 2017 and whilst it wasn’t without its challenges, the project was finished on time and within the original budget for the scope of works we set out to complete.